Reading Festival is on of the UK's longest running festival which dates back to the 50's. Reading Festival has grown into the countries largest annual rock event. Reading Festival regularly attracts some of the biggest bands in the world including the likes of Metallica, Red Hot Chili Peppers, Muse, Green Day, Kasabian, Foo Fighters Guns N' Roses to name but a few. In addition to some of the greatest rock bands on the planet, the festival also plays host to a some of the biggest dance and urban acts. Reading has seven stages with a great range of music over three days from punk and metal, through rock, alternative and indie to dance and nu rave. 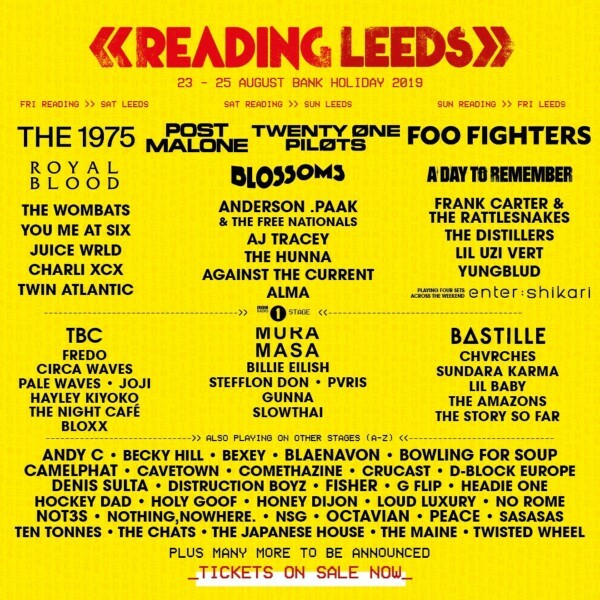 Reading Festival shares the line up with Leeds festival.